On September 26th, citizens had a chance to hear for the first time what the lengthy negotiations between the City of Dunedin and the Toronto Blue Jays have produced. The public meeting, along with all materials presented, can be seen here. No deal has been finalized between the city and the team, and any deal still has to be funded by the county and the state. The Blue Jays are currently obligated to the city until the end of 2017, and the current proposal would bind them for another 25 years from the date the project is completed. The Blue Jays project is being prioritized ahead of other crucial city projects, e.g. the planned new Emergency Operations Center (EOC), which would break ground after the work for the Blue Jays is completed. 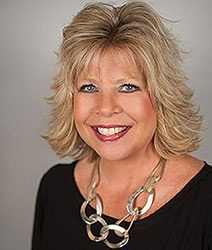 The city plans to use Penny for Pinellas (PFP) funds for both projects. The city’s current EOC is not hurricane-proof. Constructing hurricane-proof EOC’s became a priority after the 2004 and 2005 hurricanes that hit Florida. The county-wide “7th cent sales tax” is the source of the PFP. The city’s share of those funds was $3.44 million in fiscal year 2015 (FY15). Revenues are expected to reach $3.64 million in FY16, which ended on September 30, 2016. PFP funds can only be used to fund capital projects, not on maintenance and operations. The Blue Jays decision come at a time of uncertainty over whether Penny for Pinellas (PFP) will even be reauthorized by voters when it next appears on the ballot. The current foul mood of the electorate is unlikely to subside anytime soon, and a long overdue recession may dampen prospects further. As for “how are we going to pay for this”, city finance director Joe Ciurro called that question “the elephant in the room”. Ciurro said “we are tying our payment to Penny [PFP].” . Unless renewed by voters, PFP expires at the end of 2019. Ciurro indicated that the city has “no certainty behind that point”. The Pinellas county commission decided in mid-2015 to set November 2017 as the tentative date for PFP to be placed on the ballot for renewal consideration. However, the county commission must vote to actually place it on the ballot, and is slated to do so in August 2017. If the Blue Jays leave, their offices will become available and can be put to municipal use, said Bujalski. “We are just trying to be smart about which order we make these decisions in”. Bujalski may be in disagreement with city staff about whether a prioritization could be taking place. “But you feel that number is something we can afford?” Bujalski asked city finance director Joe Ciurro at the September 26th meeting. Bujalski was referring to the city’s contribution of $5.6 million to the overall project cost. “It is something that I feel we can afford, but the other side of it of course is if the Penny [for Pinellas] is not renewed, this project is coming first before some of those other projects that we know about”, said Ciurro and then specifically mentioned the new Municipal Services Building and an EOC (Emergency Operations Center). At this stage, it’s unclear whether the city’s spending commitments for the Blue Jays will be made before voters have a say on PFP renewal. The city’s “funding timeline” calls for a “final presentation to City Commission, negotiated agreement and full funding proposal” by “mid-summer 2017”, well before any PFP renewal vote. To make any financial commitments before knowing if PFP is renewed means taking a risk. The city’s proposal calls for a total of $65 million of public funds to be spent on stadium and training facilities upgrades for the Blue Jays. The total project cost is $81 million (the data to the left is from the city). The gist of the city’s proposal is that the training facilities will remain at the Englebert Complex, the stadium will be spiffed up and expanded by approximately 2,000 seats. Roughly 40% of the total project cost would be spent on the stadium. 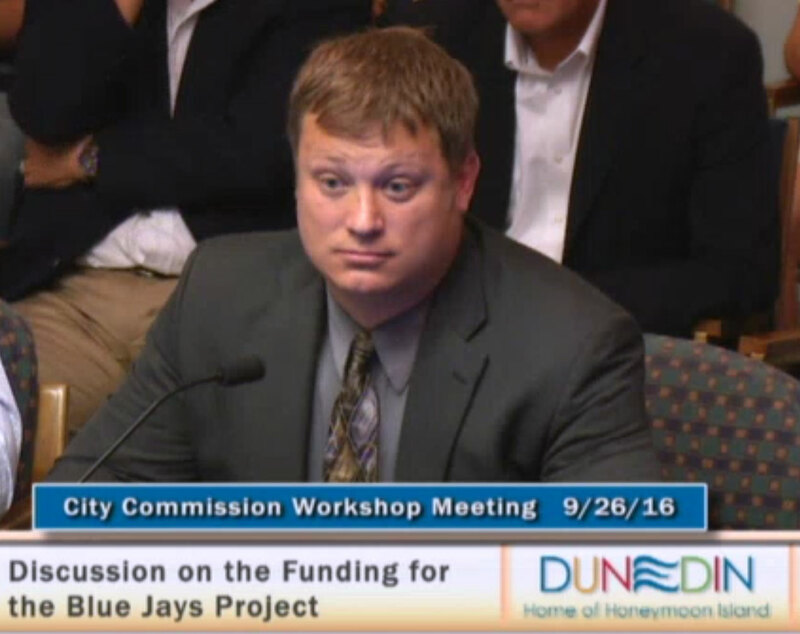 However, the resolution made no mention of the Dunedin Blue Jays (as opposed to the Toronto Blue Jays). The attendance at Dunedin Blue Jays games is anemic, and wasn’t included in the economic impact analysis that was presented. Also, the resolution itself is not legally binding, and carries little more weight than a proclamation. If the loss of the smallest funding component leads to “another discussion”, then the loss of the largest funding component is sure to lead to several discussions. Maybe even a palaver. “If county says no to using bed tax money, then we will turn back to the Jays and see what they want to do”, said Bujalski. As late as 2013, the Blue Jays were negotiating a move to Palm Beach Gardens. As evidenced by the Blue Jays rejection letter to the City of Palm Beach Gardens, that deal fell through after it became clear to them that they may have to spend some of their own money. Their options may be limited as resistance to public funding of pro sports teams grows. “This project is just in its infancy, and I’m happy that it is because we want public input. If Phase I doesn’t work, then we have to reevaulate before deciding whether to make changes and try moving to phase II”, Bujalski said. When asked what she would do if the input was a flat “no”, Bujalski said “then we have to listen”. An unscientific but a recent poll conducted by DunedinReporter.Com (DR) showed a majority of citizens opposed to the Blue Jays project. There was an even stronger desire for a referendum on the issue, although no law requires one. Comments in response to the survey ranged from “the Blue Jays contribute greatly to the Dunedin community” to “why does a business with a net income of 250 million dollars need a small city to pay for its business location?” We invite you to read the comments from the first 100 survey respondents to get different perspectives on this important issue. On the day the plan was revealed, 10 News investigative reporter Noah Pransky published an article with the title “How Badly Did the Blue Jays Just Walk All Over Dunedin?” The next day, FieldOfSchemes.Com, a website critical of pro sport stadium funding using public funds, dismissed the economic impact analysis and said that “nobody in Pinellas County should be planning on seeing that $81 million again”, referring to the total project cost. In our next article, we will cover that very economic impact analysis that is being used to justify the spending. We invite you to compare our coverage to that of the Tampa Bay Times only article so far on this matter. Although not updated since 2012, the above animation shows a clear shift over time in from private funding to public funding of pro sports stadiums. I am totally against spending public funds on the Blue Jays …. Can’t understand why the Dunedin residents are putting up with this situation, let the Blue Jays go elsewhere or pay for their own training field. They should be grateful that Dunedin provides the land lease. Thought the NFL was the Welfare Kings!! I support trying to keep the Blue Jays in Dunedin. I learned about Dunedin by seeing my favorite team then, the Phillies play here, came to love the town then bought and moved here from New Jersey. You are the second person we have heard from who said they moved to Dunedin specifically because of the baseball. But the larger public policy issue is whether it is good use of tax dollars. Please also see our article on the economic impact arguments, which don’t seem to hold water. Professional baseball is a business. It is the responsibility of businesses to fund their own venues. I have a business that gets no funding from the citizens of Dunedin, why should they fund any other business? Professional sports franchises make plenty of money. There is no reason for them to hold cities, or states hostage to their needs.